CVS (UK) Limited was established in August 1999 to acquire and operate veterinary practices which were well established within their local community and had a reputation for high quality service. It was recognised that the value of these businesses lay in the quality of their staff and the relationship they enjoyed with their existing clients. To build on this CVS provides professional management expertise in the areas of finance, personnel, practice management, Health & Safety etc, thereby relieving local staff of many administrative tasks, to enable them to concentrate on clinical care. As the number of acquisitions increased so did the diversity of operational styles and approaches. These are shared on a regular basis at meetings where clinical directors and other key staff consider alternative approaches to common problems. The two day CVS annual conference is now a major event in the veterinary calendar providing a broad range of CPD and where new initiatives are considered and fed back to each of the businesses. From 2001 CVS diversified into many other aspects of veterinary business. This diversification includes veterinary laboratories, veterinary crematoria, a locum and recruitment agency, an online dispensary, and own labelled products. Currently a key focus is the expansion of its own centres of excellence providing multi-disciplinary referral services to its own practices and to the veterinary profession at large. It is also expanding its network of out-of-hours emergency centres to ensure that its clients get the best possible care whatever their needs. A recent addition to this diversification is the establishment of grooming parlours at some of its larger practices. A major feature of CVS’s practice division is the Healthy Pet Club which provides inexpensive annual cover for routine treatments such as worms and fleas and regular health checks. With over 385,000 members this now provides a significant cost saving for clients. CVS employs an increasing number of veterinary specialists who offer invaluable advice to their colleagues and lead the internal CPD programme. Through this support for quality CPD many of the company’s veterinary surgeons have acquired new skills of value to their colleagues elsewhere in the group. The establishment of a New Graduate scheme and the MiNurse Academy are part of a fuller CPD programme which includes more formal business skills training. CVS has selected some single suppliers for certain types of product which has enabled us to get more competitive prices and better support from the manufacturers. However care is taken not to compromise clinical judgment through our selection of products, and this is achieved by having all decisions on the choice of veterinary products decided by a team of qualified veterinary surgeons. CVS continues to acquire more veterinary practices and associated businesses but each one is considered with care to ensure that they are compatible with the CVS culture. The key attributes of the practices are their location, their current standing in the local community, their overall performance and the willingness of the existing practice team to embrace the CVS approach to business. CVS Group plc owns over 500 veterinary surgeries and associated businesses throughout United Kingdom, the Netherlands and Republic of Ireland. 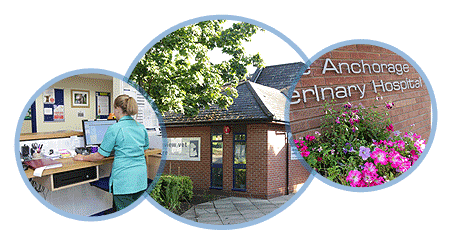 This includes four laboratories performing diagnostics services for the veterinary industry and seven pet crematoria. Please follow CVS News for recent developments.